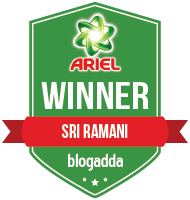 Today I am reviewing Khadi Handmade Almond soap with Aloe Vera,which is the last product from the set of products from Khadi which I received sometime back.You can checkout the other products here. 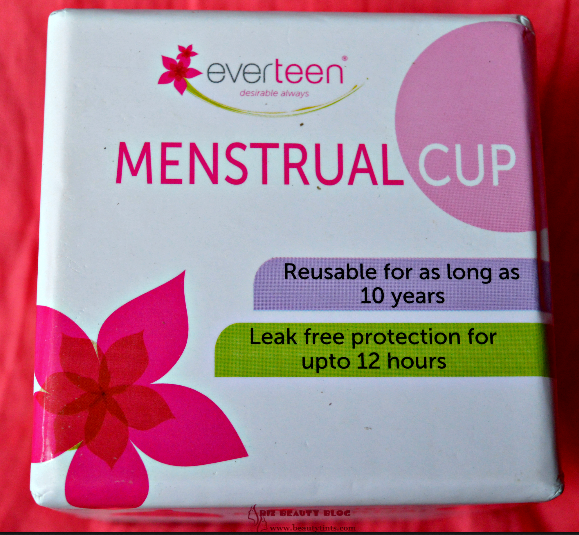 Packaging :It comes in a simple plastic film packaging with labels on either side. 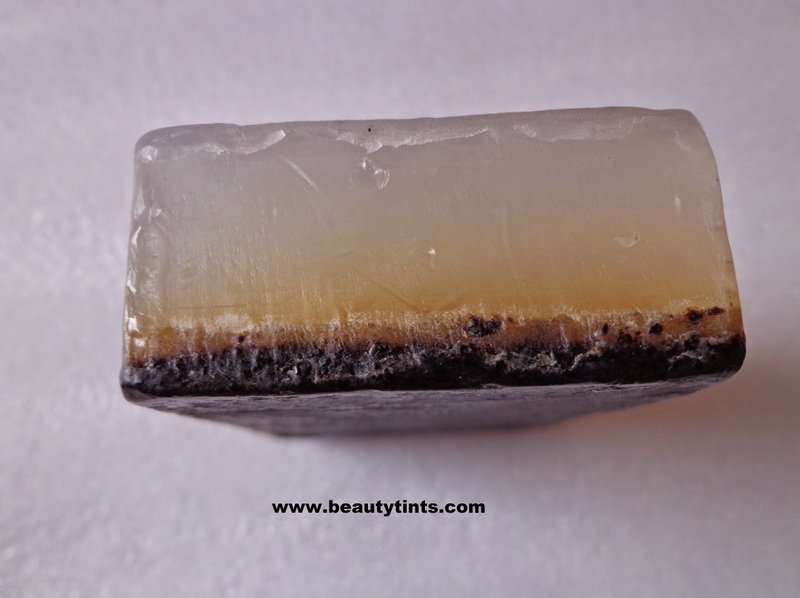 Color and Texture : This is a dual layered soap,which is transparent on one side and black colored on other side. 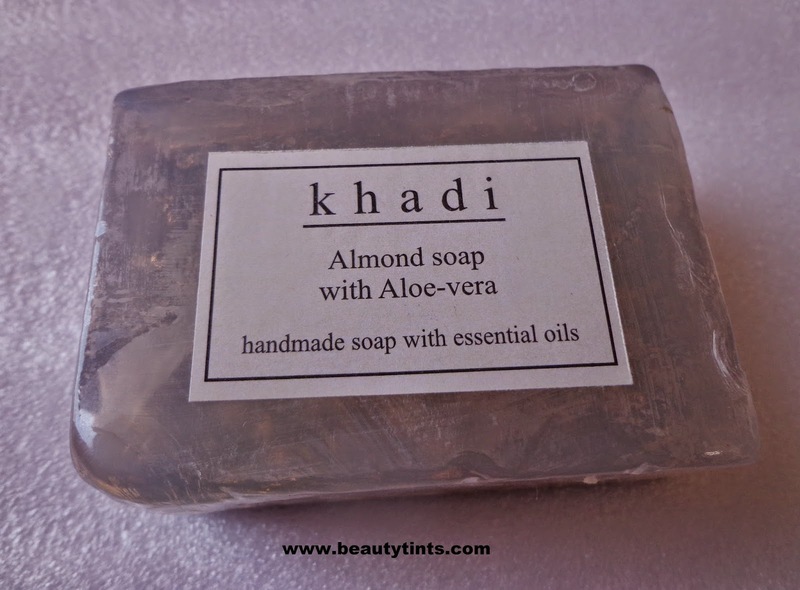 The Khadi Shop proudly presents their Spa & Aromatic range of soaps created to transform your bath into your very own spa. 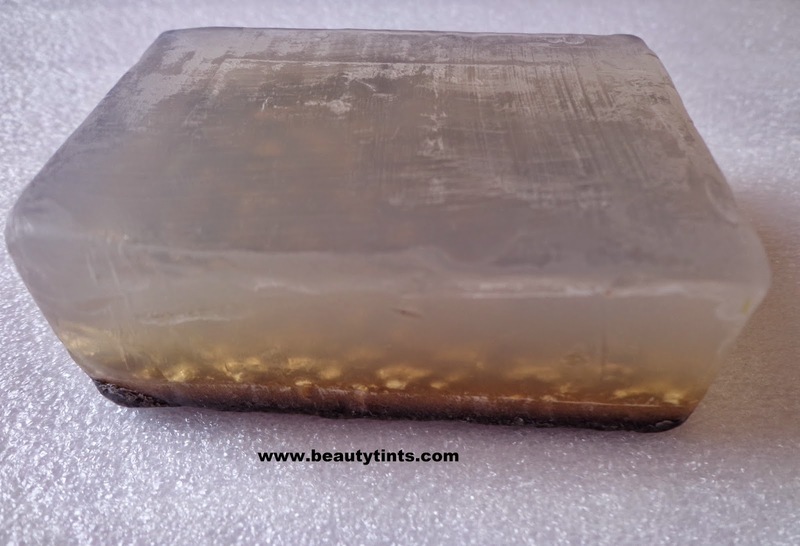 Come out of the shower feeling the sweet aromas waft off your body and start off your day with a relaxed and calm state.Get a boost of Vitamin E, rich in antioxidants with the brand new Almond soap. 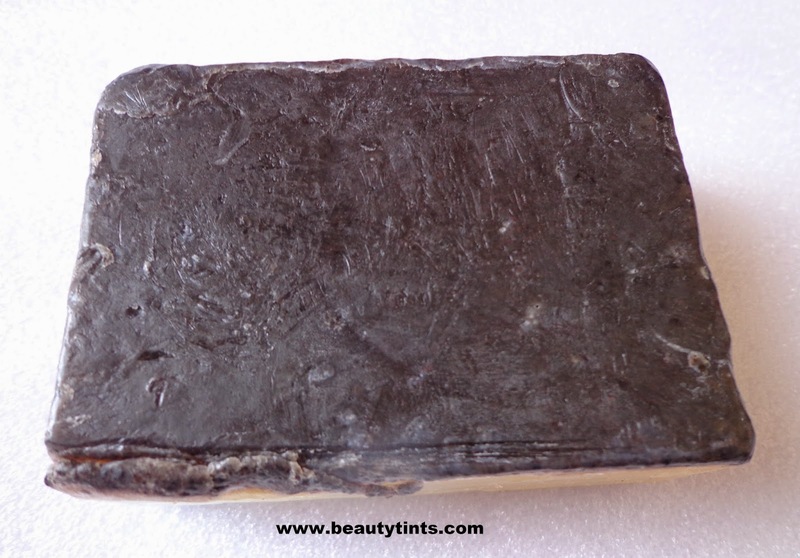 Almond also reduces fine lines and wrinkles on your face, making you look young and youthful. Olive oil leaves you feeling fresh and rejuvenated. 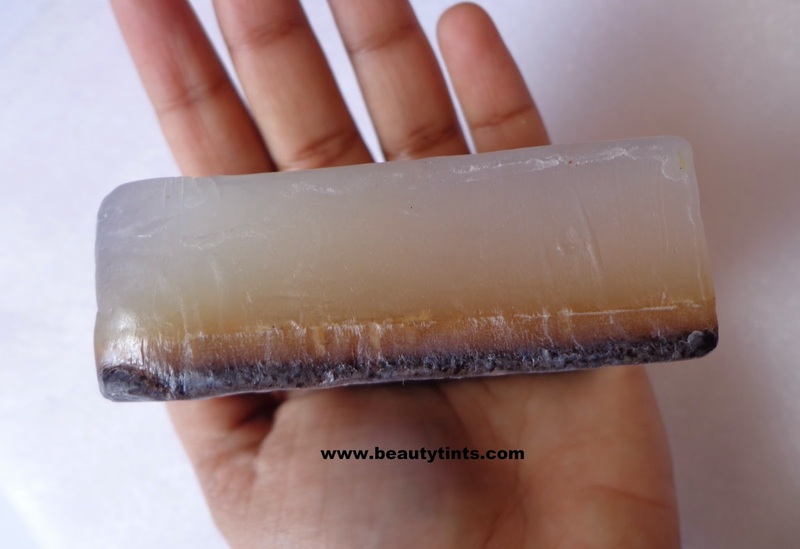 Ingredients : Soap Base,Almond,Glycerin,Jojoba oil,Vitamin-E,Aloe-vera. 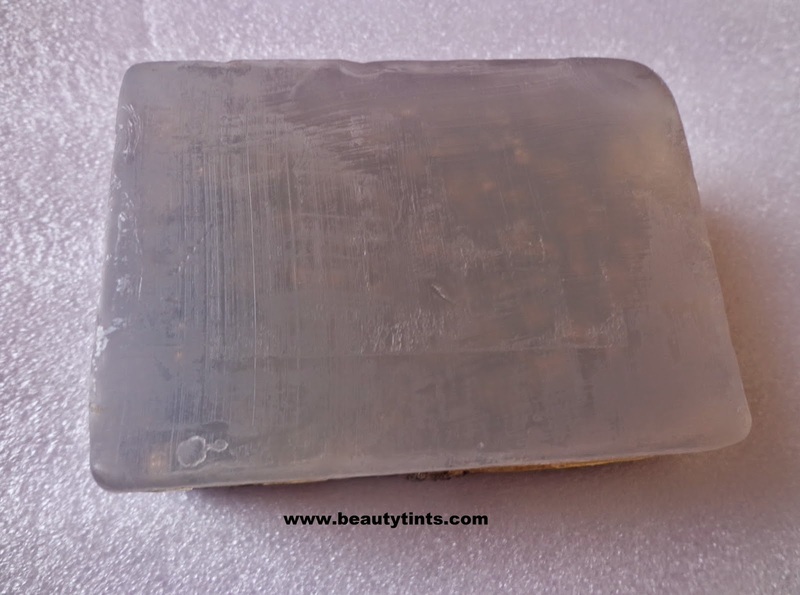 This soap is buttery soft on transparent side and a bit rough on the other side.It has a very mild almond fragrance and it lathers well.The black colored side acts as a scrub,which can be used to scrub rough areas like elbows and knees.It cleanses the skin thoroughly making it visibly clean and clear with out a stretchy feel.It is well moisturizing and it does not dry out the skin post usage.It contains the goodness of almond oil,glycerin,Jojoba oil,Vitamin E ad Aloe Vera.It is free from parabens and cruelty free.The best thing about this handmade soap is that it is super affordable when compared to many other handmade soaps.It comes off easily with out leaving any residue behind.It makes skin smooth and supple.It does not melt easily and retains its shape till the end and so one soap easily lasts for longer time. 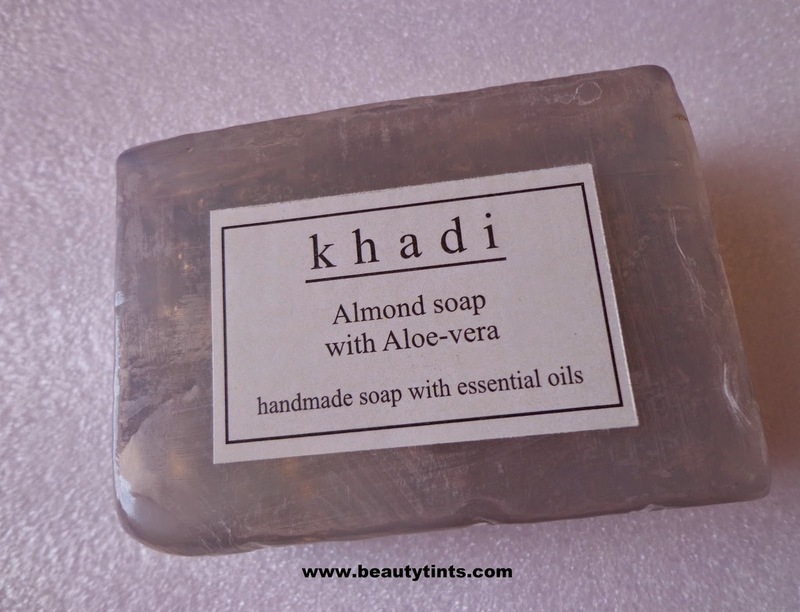 Final Conclusion about Khadi Handmade Almond soap with Aloe Vera: Those who wants a good moisturizing soap which is made from all natural ingredients as well as cruelty free at an affordable price should try this for sure.